It only took a couple of minutes to look through all 793 decklists, but we believe that this will provide an excellent overview of the current state of Standard! Is the metagame still shifting or just about to stabilize? As if it hasn't been established already, Green-White Tokens continues to be biggest force to be reckoned with. Ever since Steve Rubin's victory at Pro Tour Shadows over Innistrad, the combination of Nissa, Voice of Zendikar and Gideon, Ally of Zendikar seems to be the deadly duo of choice. 174 players are piloting this very resilient deck today, and represent nearly 22% of the metagame. To boil this down a little, that's one in every five players, but players have slightly different tricks up their sleeves. For instance, the little combo of Archangel Avacyn and suicidal Hangarback Walkers is seeing a resurgence, and some players are playing up to two Evolutionary Leap in the maindeck. Players are still bamboozled by the Lévy Conundrum, and the field is still split on whether Chandra, Flamecaller is worth the splash via 4 Oath of Nissa! Ranked 13th Yuuya Watanabe is largely responsible for popularizing Bant Humans, a deck that seeks to abuse Collected Company in conjunction with Thalia's Lieutenant. Since Duskwatch Recruiter and Lambholt Pacifist are also, conveniently, Humans, this evolution of the Bant Company deck might the most aggressive rendition of them all. 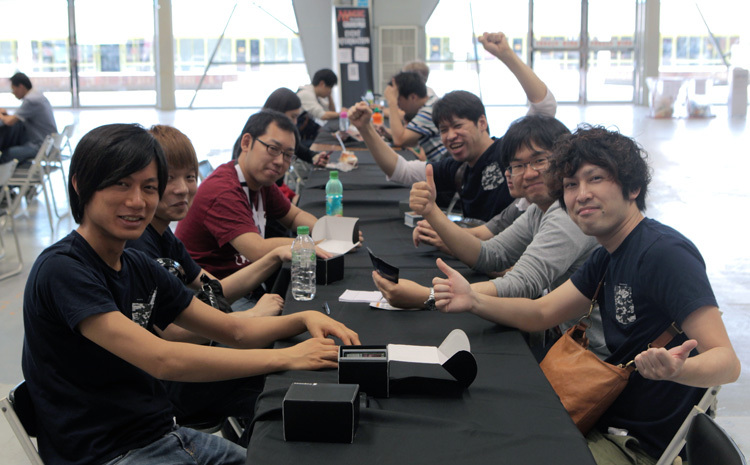 Having made the Top 16 at Grand Prix Tokyo and the Top 8 at Grand Prix Costa Rica, Watanabe-san is naturally back in Taipei with his trusty deck, and 92 other players have followed in his venerable footsteps. Bant Company with Eldrazi Displacer and/or Bounding Krasis are also decently popular, but only half as much. Word on the street is that Lee Shi Tian is on this build, the one that he knows the very best! And since we're on the topic of Thalia's Lieutenant, I'm going to take a stab in the dark and assume that it is possibly the most played White creature across the entire event. 93 copies of Bant Humans and 86 of White Weenie Variants in total will guarantee over 750 copies of Thalia's Lieutenant alone. Among the 86, 60 players are running either Needle Spires or Reckless Bushwhacker, to give you a little more perspective on their splash of choice. Now that we're done with introducing the Top 5 archetypes, let's take a look at the Top 20! 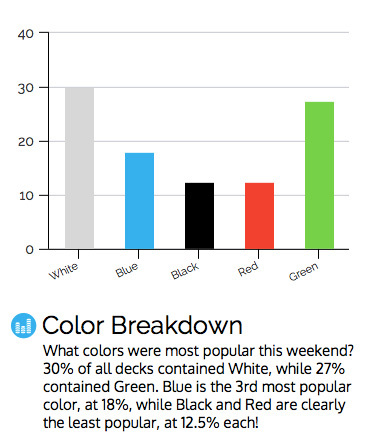 While it was thought that Black-White Control might make a resurgence due to the popularity of Humans, that didn't quite materialize, meaning that the 40 Red-Green Ramp players have less prey to feast upon. Using Nissa's Pilgrimmage and Explosive Vegetation to accelerate into 7 or 10 mana, the Ramp players desire to end the game quickly with nasty Eldrazi such as World Breaker or Ulamog, the Ceaseless Hunger. The Blue-Red Ulamog deck takes a slightly different approach, and seeks to prolong the game with removal and counterspells such as Spatial Contortion, Kozilek's Return, and Clash of Wills, before finding a window to resolve Drowner of Hope and Ulamog in succession. Seasons Past Control in varying flavors (Black-Green, Sultai and Abzan) were sighted, and the engine involving Dark Petition and Seasons Past continues to tempt the greediest of control players. The 4-Color [/autocard]Cryptolith Rite[/autocard]s deck might be a great choice this weekend, since it has a great matchup against boogeyman of the format, Green-White Tokens and a handful of experienced pilots could bring it into the limelight tomorrow. 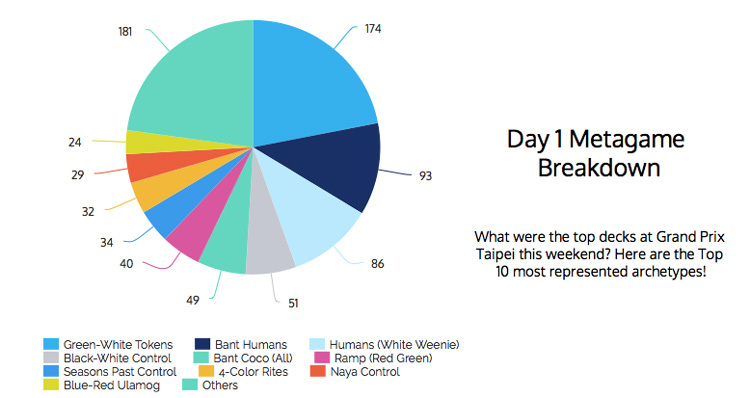 And because we know you guys love to look at charts, I took the liberty of crunching some additional numbers for the Day 1 Color Breakdown! Well, it's Round 4 and the Pros are getting ready to play. I'm going to check in with them to see what surprises they're bringing to the table I'll catch up with you guys later, I promise!